Quote: WLinux is the first commercial version of Linux, more precise the Windows Subssystem for Linux, on the Microsoft Store. 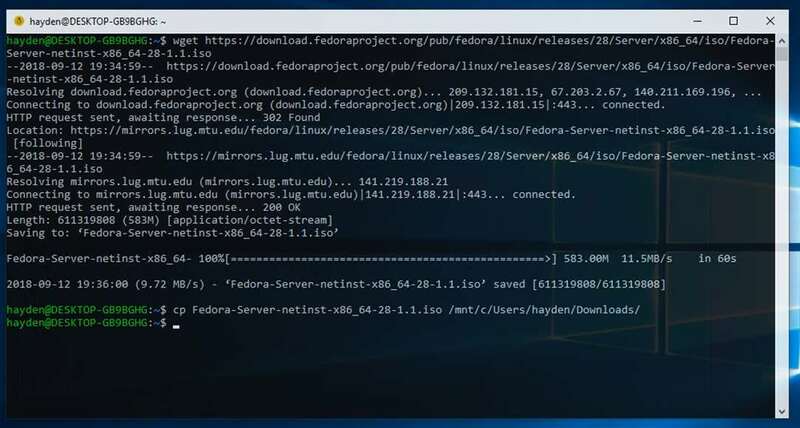 It is advertised as a "fast Linux terminal environment for developers and pro-users built on Windows Subsystem for Linux (WSL) on Windows 10" and available for $19.99 on the Microsoft Store. WLinux is not the first Linux-based application for Windows 10; users of the operating system can install Ubuntu, Debian GNU/Linux and other Linux versions for the Windows Subsystem for Linux as well from the Store. The Windows Subsystem for Linux integrates Linux distributions into the Windows 10 operating system so that these become available. The implementation is fairly limited at this point in time as you are limited to running command line tools and some tools or applications even in the latest version of Windows 10 and Windows Server 2019. Windows 10 version 1809 includes a new option to run a Linux shell from Explorer. You need to hold down the Shift-key before you right-click on a folder to use the "Open Linux shell here" option. The installation of Linux on a Windows 10 PC does not provide full access to the desktop environment. Current time: 19 April 19, 20:25 Powered By MyBB, © 2002-2019 MyBB Group.